We’ve been following the upcoming 2017 Lexus LS very closely. From spy shots to rumors, we have traced the journey of Lexus’ flagship luxury sedan. Now it seems the waiting, speculating and rumor-chasing is finally coming to an end. Lexus has announced that the next-generation LS sedan will make its official worldwide debut in Detroit. Detroit has become a very important venue for Lexus. The first ever LS sedan made its debut at the North American International Show way back in 1989, and Lexus continues to use the show to premier its latest and greatest machines. Last year saw the debut of the LC500, and of course, this year we get the new LS. As you might expect, Lexus has remained mum on the details of the car, aside from stating that it has a “bold” new design with a “coupe-like” profile. 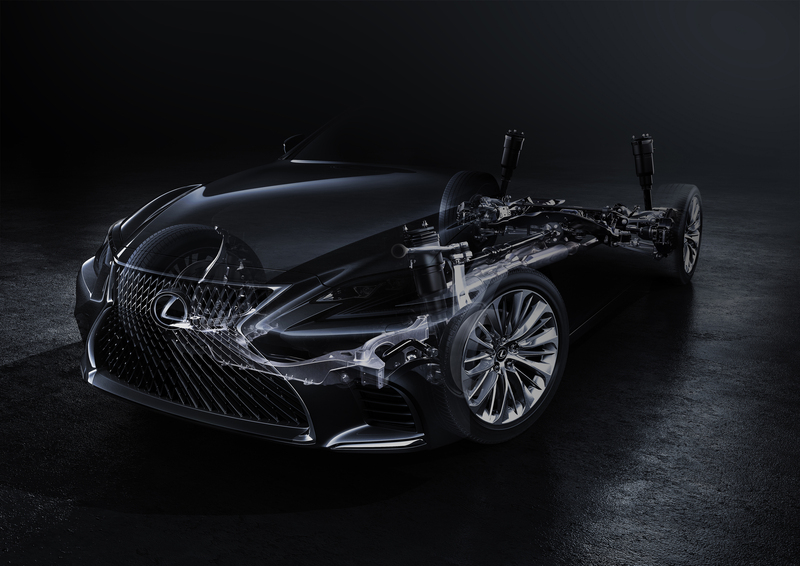 Lexus did mention that the new sedan will ride on the same fancy RWD platform found under the new LC 500. But that’s all we get. Visually, we do have this impressive new photo, although it just barely shows off the car’s nose then cuts away to the frame underneath. If for some reason you have been hiding under a rock and have missed all the rumors about the new flagship, let’s play a bit of catch-up. For starters, we expect the V8 under the hood to disappear, replaced with a turbocharged V6. Power is in the range of 400 hp and 450 lb-ft. Along with the smaller turbo engine is a bump in fuel economy with a rating of 25 mpg floating around. A hybrid option is also coming. We expect it to be the same V6 system found in the LC 500h. The 2017 NAIAS in Detroit is only a month away, so we should have all the confirmed stats very soon.